"You go from hero to zero," said Aversa. "It's devastating." 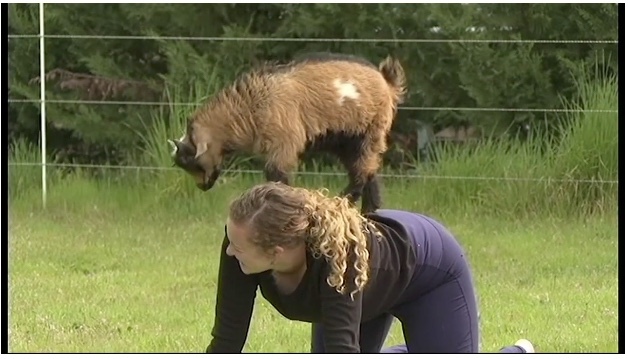 CENTRAL POINT — The goat yoga craze hit the Rogue Valley on Saturday, but the four-legged guests weren't the only special thing about the session. The session's instructor, Drew Aversa, is no ordinary yoga teacher. He comes from a background of inspirational recovery after suffering from a traumatic injury and Post Traumatic Stress Disorder. 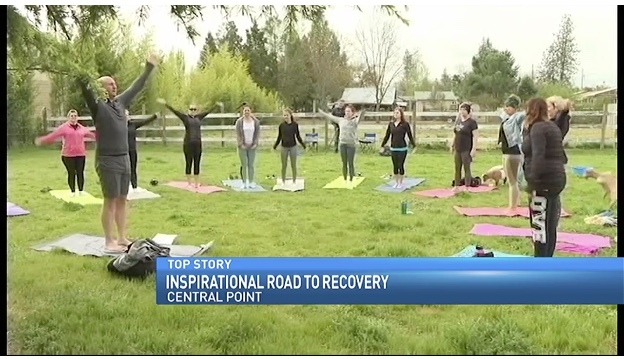 "So many people are going through that today, and I wish they could just find yoga and get rid of ego, get rid of whatever stigma they have attached to this 3,000 year old practice that has continuously healed people," said Aversa. The SOU grad started his working career as a firefighter in California, but a traumatic injury left him confined to a wheelchair. "Yoga allows the mind and body to connect. It allows people to come together, it allows that pause in our day-to-day life to just be," he said.